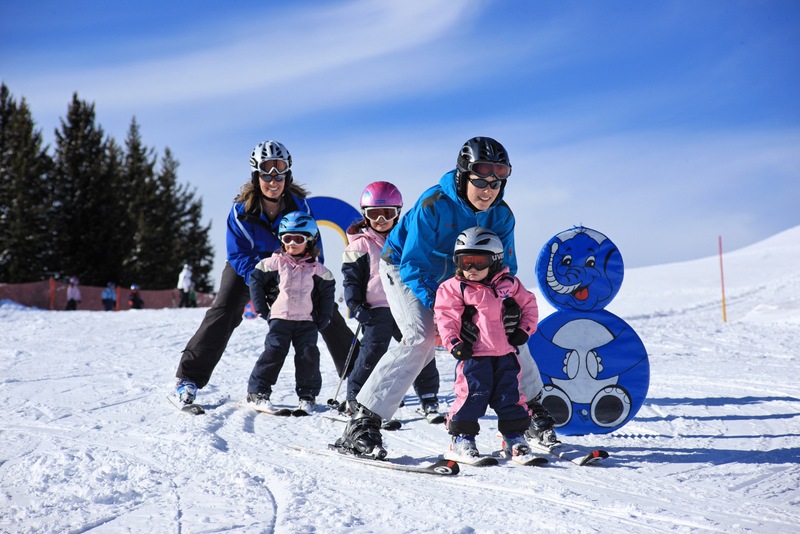 Free skipass until Christmas – 16 November to 23 December 2013 During the pre-season, all guests will again receive a free skipass for Davos Klosters Mountain rail & cableways for every overnight stay. It’s quite simple: a guest books an overnight stay in one of the participating hotels or holiday apartments in Davos Klosters and will receive a free skipass for the Jakobshorn and Parsenn ski regions for every night booked. Songbird Festival Davos – 6th Songbird Festival Davos, 6 – 21 December 2013 The sixth Songbird Festival in Davos features new and familiar locales as well as exceptional acts. The Hotel Seehof has been gained as one of this year’s venues and the Alexanderhaus Chapel is celebrating a comeback. The three-week festival offers visitors a variety of contemporary music genres in a wide variety of locales. Acts on stage in 2013 include Bernese artists Stiller Has, Michael von der Heide, Sina, Brandy Butler and rising star Steff la Cheffe. You’ll also be in for a surprise with this year’s act at the closing concert. Eyes of the world once more on Davos – World Economic Forum (WEF), Davos, 22 – 26 January 2014 At the end of January, the eyes of the whole world will once again focus on Davos when over 3000 leading international personalities from business, politics, science and society gather at the Annual Meeting of the World Economic Forum (WEF). The WEF has proved itself an excellent platform on which diverse protagonists can discuss current topics and seek possible solutions. The “spirit of Davos” can sometimes work miracles. In the tracks of Dario Cologna – 34thBlick Cross-Country-Ski Event, Davos, 23 Nov – 1 Dec 2013 Blick Cross-Country Ski in Davos offers around 3,500 amateur sportsmen & women an opportunity to follow in the tracks of Dario Cologna. Participants can learn or improve their cross-country skiing techniques under professional supervision. The courses are aimed at beginners as well as more experienced & elite athletes. Amateur cross-country skiers can enjoy the Davos landscape in its covering of fresh snow in both course blocks from 23 – 27 Nov & 27 Nov to 1 Dec 2013. Ernst Ludwig: Georg Baselitz. – Exhibition at Kirchner Museum Davos, 8 Dec 2013 to 21 April 2014 The exhibition gathers paintings, sculptures and sketches from different periods of the artist’s work. The starting point is formed by key works from the early 1980s including The Family (1980), The Kiss (1984), Dinner in Dresden (1983) and its remix version The Bridge Ghost’s Supper (2006) as well as a series of ink drawings created at the same time with heads (Brücke artists), boots/shoes and variations of the hand of Sylvia von Harden. New Year’s Eve party – 3rd Big Bash Davos in fan tent of the Spengler Cup, 31 December 2013 It’s going to be festive, lively and loud in the fan tent next to the Vaillant Arena on 31 December when the third Big Bang Davos New Year’s Eve party gets underway. 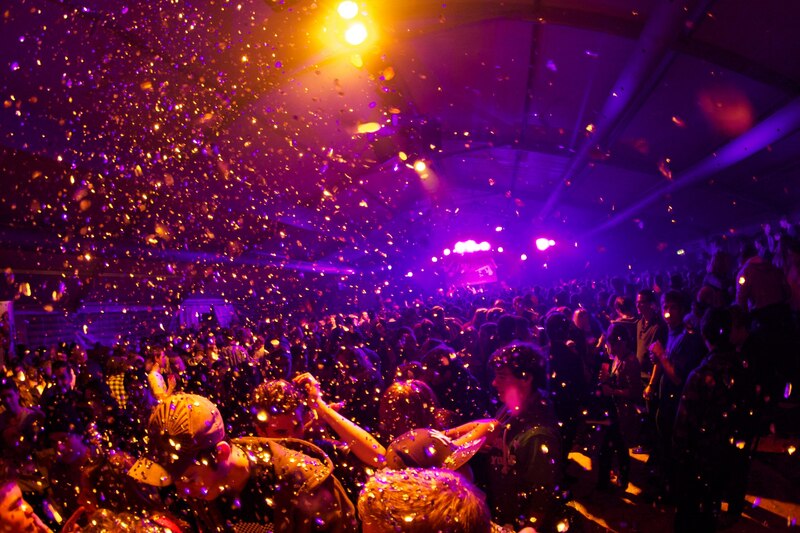 The party will start at 22.00 h and go on until the early hours. The organizers of the Open Air Frauenfeld are bringing national and international stars from the hip-hop scene to Davos, certain to send party animals wild. Into the New Year with racing piglets – New Year celebrations with “Hotschrennen”, 1 Jan 2014 Klosters is full of high spirits on the Bahnhofstrasse when speedy piglets race into the New Year. 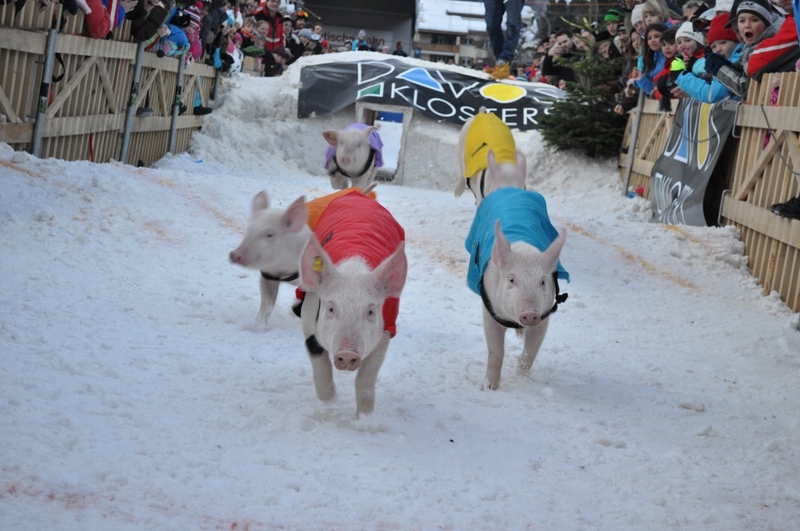 On New Year’s Day, guests cheer on the little porkers, motivating them to do their best in the race. Spectators can choose their favourite lucky mascot and bet on victory. As well as a spectacle, the “Hotschrennen” race, also offers culinary treats and a varied fringe programme. The animals, all born in the region, are trained 3 times daily to prepare them for their big day on 1 Jan. Small-scale theatre, cabaret and concerts in Davos Top-class acts in Davos from November to April, the Davos Arts Society (KGD) will present a variety of small-scale theatre, cabaret, jazz and classical concerts as well as children’s theatre. Acts guesting in Davos in winter 2013/14 include Swiss cabaret artists La Stracciatella, Simon Enzler and Jaap Achterberg as well as the A-capella group, The Fantastic Four and the Compagnia Due. Musical treats for the ears will be provided by the Marco Todisco Jazz Quartett, the Philharmonic Brass Generell 5, the le phénix Ensemble with Maurice Steger and the well-known Graubunden choir Cantus Firmus. A richly varied cultural programme for guests and local people! A bed in a snow field in the only igloo village in Canton Graubunden – Romantic nights in the Igloo Village on Davos Parsenn, from 25 December 2013 to April 2014 This year, a tiny village of snow and ice once again invites you to enjoy romantic nights in the high mountains. Depending on category, the igloos offer a totally natural experience or sheer luxury with a sauna and whirlpool under the star-studded sky. The igloo village is open to the public at the same time as the ski pistes and you can have a look at the 17 igloos, try out the bar or enjoy fondue fun with friends. The village first becomes a hotel in the evening. The offer also includes a fondue & an evening snowshoe trek. On request the event igloo is available for all kinds of occasions, from a birthday party to a wedding in the specially created igloo chapel – everything is possible. World Heritage on the doorstep – Railway experiences on Albula line, in Bernina & Glacier Express. Three years ago, UNESCO awarded the Albula and Bernina railway sections World Heritage status. The Wiesner viaduct in the Davos district is one of the most impressive structures of this new World Heritage. The Albula and Bernina sections belong to the world’s most spectacular narrow-gauge railways and are excellent examples of transport access to a high-Alpine landscape. Direct connections to both routes are available from Davos Platz. The unique mountain scenery makes the Bernina Express excursion from Davos to Tirano an unforgettable experience. The journey with the Glacier Express from Davos to Zermatt travels through spectacular landscapes. Guests travel right across the Swiss Alps, from Jakobshorn to the Matterhorn, in the panorama carriages of the world’s slowest express train. Bernina Express the scenic train owned by Rhaetian Railway – The largest network among private railways in Switzerland operates in the Graubünden region with two lines towards Davos Klosters – The Landquart–Davos Line & Davos–Filisur Line. Starting 31st May 2014 Davos will be connected to the Glacier Express Train via the Glacier Express Bus or the regional train via Filisur.